One of the joys of my role is meeting other social sector leaders: people with a powerful passion for good. We learn from each other, and try to help each other when we can. Ten years ago, I started corresponding with a fascinating woman from Morocco, Jamila Hassoune. Over time, I learned more and more about her work and background. She was the first woman bookseller in Morocco. Her love for books led her to create the Book Caravans: treks each April out to a village in the desert or the mountains of Morocco. She would bring books especially for children and women, and conduct a couple of days of workshops on wide-ranging topics about enterprise, culture, history, poetry and books. Over the time I corresponded with Jamila by email, she started becoming better known in Europe. One Italian book was written about her entitled the "La libraia di Marrakech," the Librarian of Marrakesh. Last year, I was able to meet Jamila in person in Marrakesh, while I was there for the negotiations on the Treaty for People who are Blind or Print Disabled. We had a great conversation, and I learned much more about her dreams for doing more for the people of Morocco. 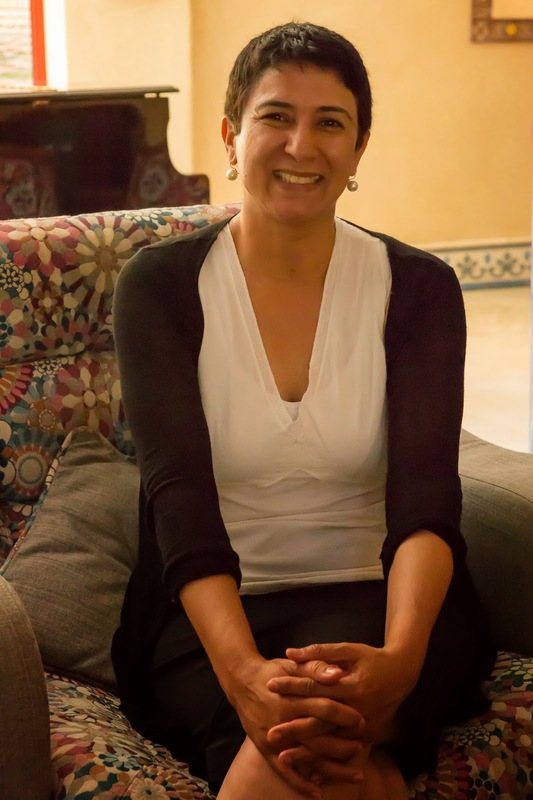 She's very proud of her country, and thinks that her fellow Moroccans need to know more about their culture and history. And, she wants to improve access to education, economic opportunity and of course, books, for all Moroccans, but most especially women! I believe strongly in social entrepreneurs who understand their own society. Jamila is a well educated and well read leader with a vision. It's not the vision of an American or European trying to help Morocco, hers is the vision of a Moroccan who sees what needs to be done and how to do it! After all of these years, I now know that Jamila has been working hard on these issues, with minimal supports, as a very dedicated social entrepreneur. She has a new vision of doing even more than the book caravans: she wants to build a new kind of school and ecologically sound social enterprise at an oasis in Morocco, which would include a museum about Moroccan culture. It's a big set of goals, but she's pulled off the improbable before! I know that she would benefit from more help: she's asked me if I know how she could get more volunteers to assist her with her work. She would welcome English-speaking volunteers. And though she doesn't ask, I'm sure she could use more donors, too. So, if you're reading this and get excited about Jamila's approach, figure out a way to support her efforts.